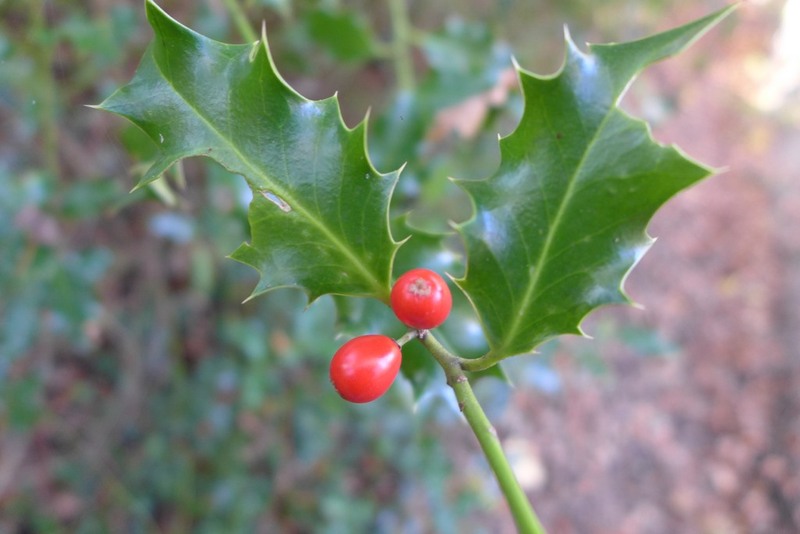 Autumn is now well settled, and we are slowly but surely slipping into winter – the dark and cold season where trees have no leaves, where animals are hivernating and where everything seems pretty lifeless. But for now, there is still a lot going on! Pretty flowers and warm sunny nights may have gone, yet small, inconspicuous natural wonders are waiting to be discovered. In The Forest, an…appropriately named reserve near East Horsley, Surrey, discrete woodland inhabitants are revealing their secrets. 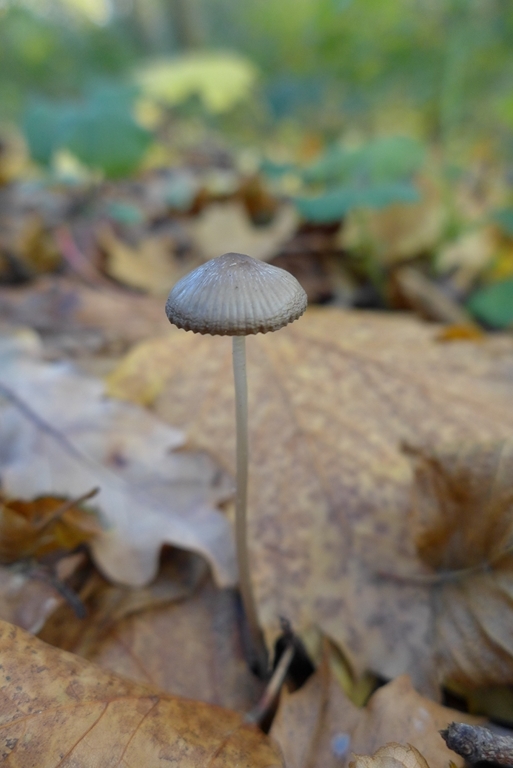 Most people think of fungi as rounded caps on a stalk, but they can actually take much more bizarre shapes. Left, on a stump covered in moss is the stag’s horn fungus (Xylaria hypoxylon) whose branched fruiting bodies look a bit like antlers. 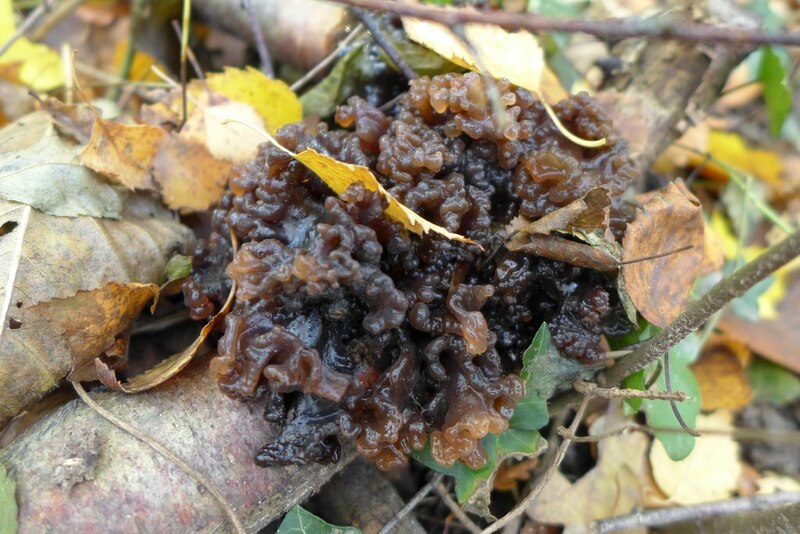 The fungus on the right is Tremella foliacea, also known as the Leafy Brain because of its gelatinous, brain-like size and appearance. It’s apparently eaten in China…hmm, I think I’ll skip that! Colourful butterflies and buzzing bumblebees are no longer visible in autumn, but that does not mean that all traces of insects have gone! 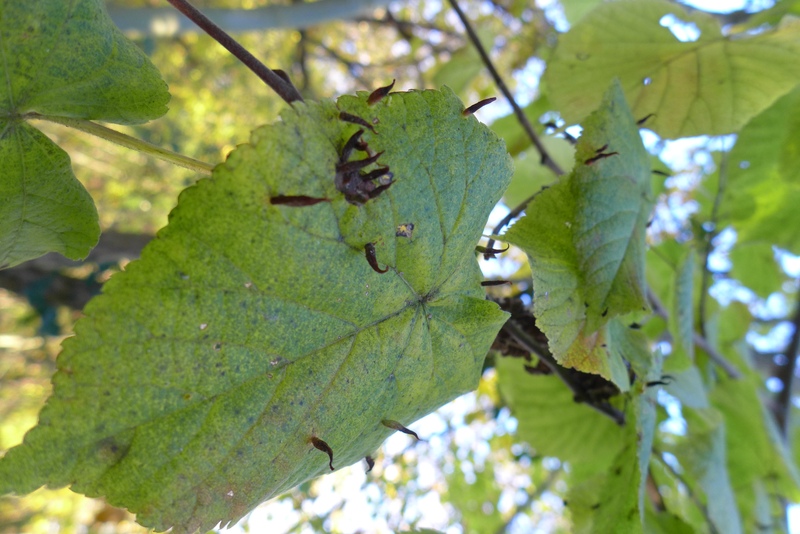 Often encountered on fallen leaves are galls, caused by a variety of small insects (flies, moths, wasps..): by laying their eggs in leaves or buds and secreting hormone-like substances, they make the cells of the plant grow rapidly and uncontrollably, forming strange structures. Some funky ones here : the horn-shaped galls of Eriophyes tiliae on Lime (a mite) and the flat, disc-shaped ones of Neuroterus quercusbaccarum – the Spangle Gall on Oak (a small wasp). Larvae will usually overwinter inside these galls. 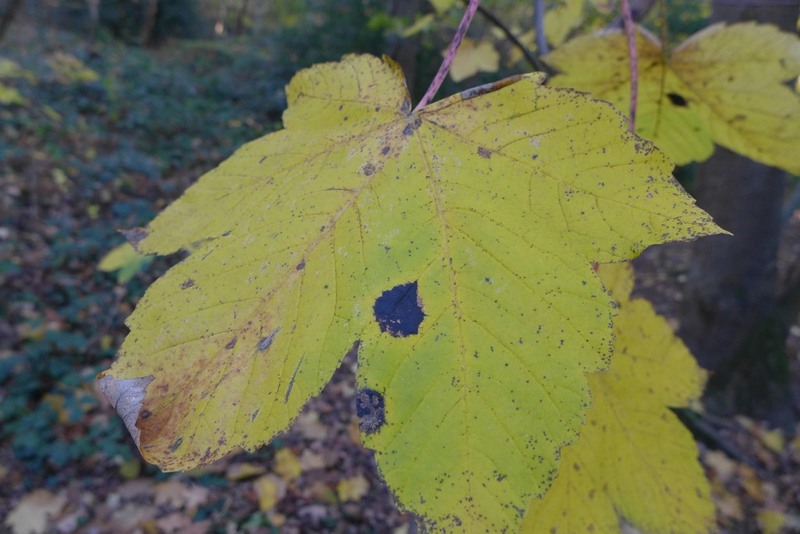 Leaves are not only hosting insect galls…some insects like small moths (“leaf miners“) lay their eggs in the leaves, the larva then develops and feeds inside the leaf, creating distinctive markings (here on Rubus, bramble). 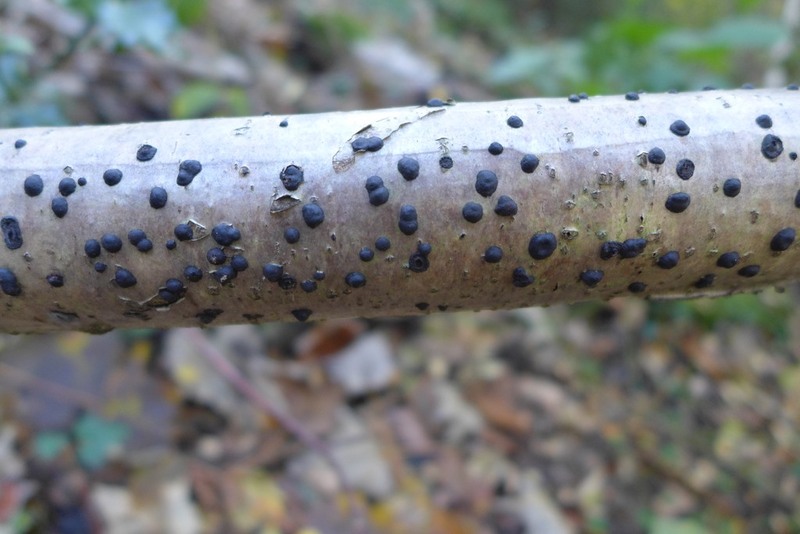 Fungi are not restricted to leaf litter…you might have already seen large black spots on maple leaves in autumn: these are the fruiting bodies of Rhytisma acerinum, the Tar Spot fungus. 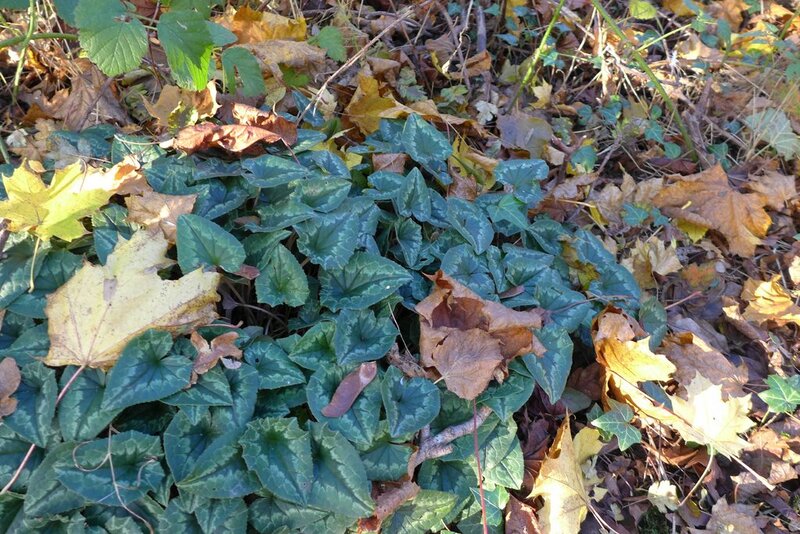 While wandering along the muddy forest paths, I noticed two flowering plants on the ground : the infamous Senecio jacobaea (Ragwort – here young leaves with shallow lobes); and the common garden plant Cyclamen hederifolium (Sowbread), which was introduced to Britain from Mediterranean regions a long, long time ago (before 1596)! 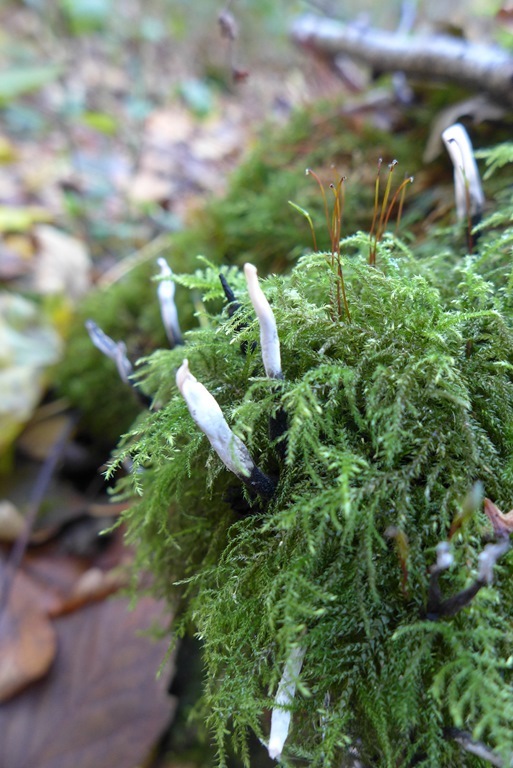 There are many more natural wonders to discover in a forest, from weird galls to microscopic fungi, tiny invertebrates or well-hidden plants. 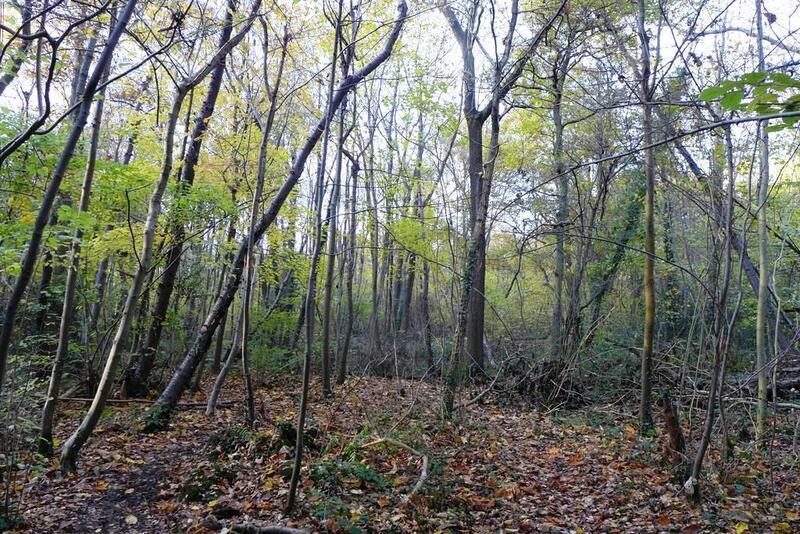 This reserve is part of London’s vast Green Belt (a ring of protected countryside with limited development, introduced in 1935), which could be under enormous threat if plans devised by Guildford Borough Council went ahead. 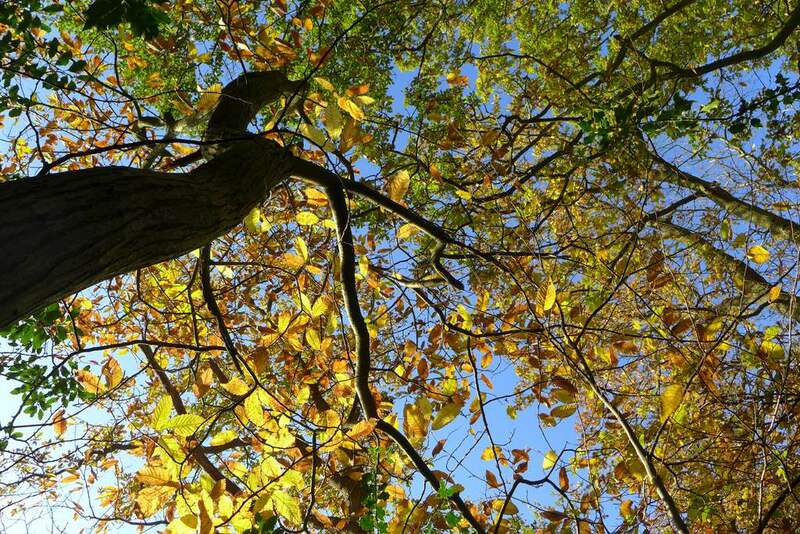 More than a million homes could be built on this valuable land, and many local groups such as CPRE Surrey are fighting against it…I’ll leave you to think with a view from under the beech trees! Previous Post A garden of Eden?